Carter Jonas, the national property consultancy, has let over 12,000 sq ft at Follifoot Ridge Business Park near Harrogate, North Yorkshire. Nomad Catering took unit 1A (2,500 sq ft) on a ten-year lease, upgrading from a smaller site elsewhere in Harrogate. As part of its business expansion, parts manufacture Couplings Services Limited took unit 2A (5,000 sq ft) on a ten-year lease. Finally, also due to business expansion, Earthmill Maintenance took unit 14 (4,800 sq ft). 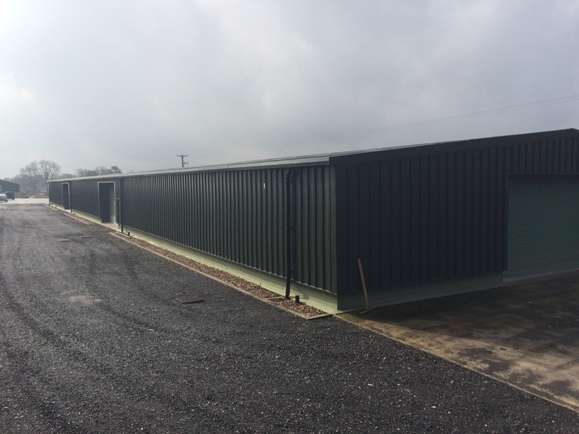 Each unit features a steel portal frame construction set beneath a pitched roof, with high eaves and roller shutters, ideal for local occupiers with expanding companies. The units also benefit from ample car parking space, in addition to access to a shared yard area. Follifoot Ridge Business Park lies south of Harrogate, which is a characterised by a mix of residential and agricultural property. The park provides high quality industrial units, suitable for a range of uses – from manufacturing, to storage and distribution. Matt Bredin, senior surveyor, Carter Jonas, said: “The flurry of lettings at Follifoot Ridge Business Park demonstrates the high demand for new good quality industrial premises not only near Harrogate, but across the North Yorkshire region.